"Vintage Garden" Too additional background paper pack gives you so many more creative options when it comes to creating your scrapbook layouts, mini albums and cards. Choose your colour palette and know that you'll have the papers to fulfill your vision. These background papers are NOT included in the FQB "Vintage Garden" Collection! 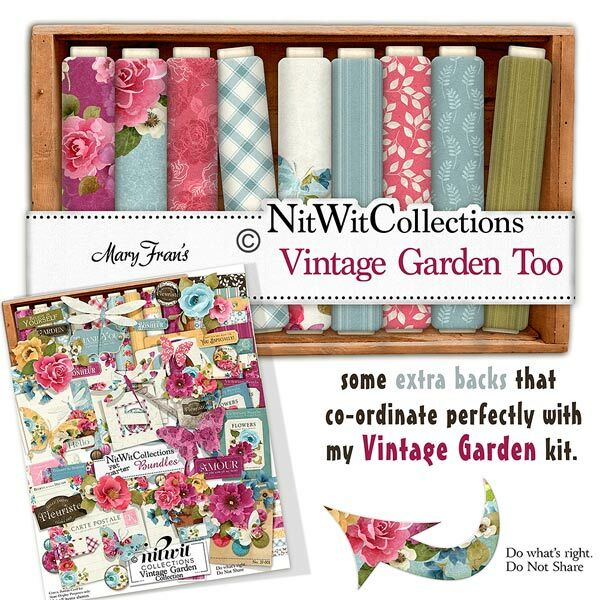 16 Digital background papers that coordinate and colour match my FQB "Vintage Garden" Collection.